The process of filing an Atlanta bankruptcy case is not as complicated as you may believe. Bankruptcy law is complex and you should always seek the advice of an experienced Atlanta bankruptcy attorney; however, the right bankruptcy attorney can make the bankruptcy process much easier for you. Because of our experience helping individuals just like you, we have developed steps that make it easier for our clients to file bankruptcy and get rid of their debt. 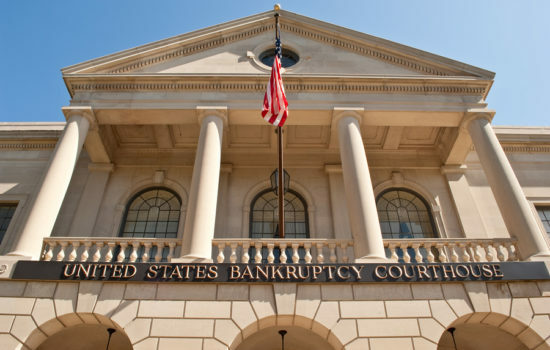 Below is a brief explanation of the major steps in filing a bankruptcy case. Because each case is different, you could have a few more steps in the process; however, our attorneys will guide you through each step. We understand you are under a great deal of stress from dealing with debt problems; therefore, we want to make this process as easy, quick, and stress-free as possible. Beginning the bankruptcy process is easy – schedule a free bankruptcy consultation with The Ballard Law Group by clicking here or calling 404-220-9906. Our experienced Atlanta bankruptcy attorneys will discuss your financial situation in detail and offer legal advice regarding the bankruptcy and non-bankruptcy options for resolving your debt problem. The first step in getting out of debt is learning the legal options available and the pros and cons of each option. This is the purpose of a bankruptcy consultation. You are under no obligation to retain our law firm. We only want to give you the facts about bankruptcy so that you can make an informed decision about how to proceed. 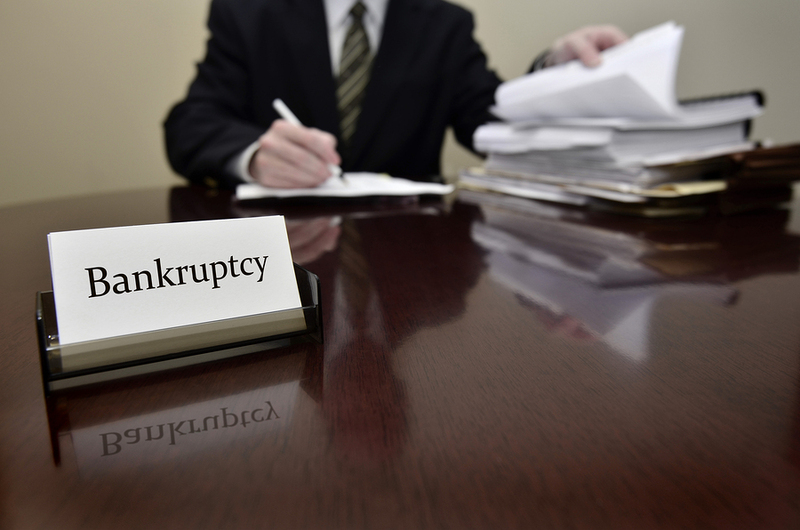 If you are unsure whether you want to file a bankruptcy, we suggest you think about it and contact us with any further questions. Our goal is to help you get out of debt but we are not going to push bankruptcy on someone who does not want to file or someone who does not need to file. If you decide bankruptcy is the best option for you to get out of debt, our staff will assist you in gathering the information you need to file bankruptcy. Some attorneys hand their clients a stack of forms to complete without any direction or assistance. We have designed a better way to help our clients provide the information we need to complete your bankruptcy forms. We will guide you through each step of this process to make this as stress-free and easy as possible. The Bankruptcy Code requires that debtors complete a credit counseling course prior to filing bankruptcy. This course is available online, in person, or by telephone for a minimal fee. It only takes about 50-60 minutes to complete but you must complete this course before we file your bankruptcy case. Many clients complete the course while our staff is working on completing your bankruptcy forms for review. We want to make sure that all of the information provided to the court is accurate and complete. Therefore, we will review each page of your bankruptcy petition and schedules with you before you sign them and they are filed with the court. If changes are needed, we can make those during your appointment. You will receive a copy of your complete bankruptcy forms after they are filed with the court. The second course you must complete as part of the bankruptcy process is the debtor’s education course. It is also available online, in person, or by telephone for a minimal fee. It takes about 90 minutes to complete. You must complete this course in order to receive a discharge. We ask that you complete your course before your court hearing to ensure that your case is not delayed and you receive your bankruptcy discharge. The Meeting of Creditors is required in Chapter 13 and Chapter 7 cases. The hearing is presided over by the trustee (Court appointed attorney) assigned to your case and only lasts about 10 minutes. The trustee will ask you questions about your finances; however, it will be the same questions we asked you at least once during the process of preparing your bankruptcy forms. Creditors can appear and ask questions; however, it is rare that anyone other than the trustee is present to ask questions during your hearing. Most of the Chapter 7 cases filed in Atlanta are “no asset” cases meaning the debtor retains all of his or her property while getting rid of most if not all debt. In a no asset Chapter 7, you will receive your discharge and your case will be closed within four to six months after the filing date. There is nothing for you to do after the Meeting of Creditors if you have completed your debtor education course prior to the hearing date. In a Chapter 13 case, you have another hearing called the Confirmation Hearing. This hearing is to confirm your proposed plan of repayment. Once your plan is confirmed, you will need to make all of your payments to the trustee on time each month until the end of your plan (36 to 60 months). When you finish your plan payments, you will receive your discharge and your case will be closed. Are You Ready to Start on The Road to Financial Well-being? If you are ready to take the first step to get rid of your debt and improve your financial situation, contact The Ballard Law Group online or by calling 404-220-9906 to schedule your FREE bankruptcy consultation.